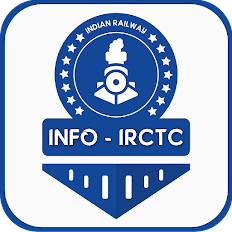 Home india rail info indian railways indian railways enquiry irctc railway safety Railyatri Suresh prabhu Out of Focus on Safety - Indian Railways. Is it true? Out of Focus on Safety - Indian Railways. Is it true? Safety remains one of the prime concerns and priorities for the Ministry. 1. When this government took over, analysis revealed that 40 per cent of the accidents and 60 per cent of fatalities were due to accidents on Unmanned level crossings. Hence, Mission Zero Accident was launched to ensure all Unmanned level crossings were eliminated by 2019. It has seen unprecedented success, where we eliminated 4258 UMLCs in last 3 years, leading to drop in fatalities from UMLC accidents from 64 per cent of total fatalities in 2013-14 to 16.81 per cent in 2016-17. 2. State of infrastructure is an important constituent to safety performance. The infrastructure had been deteriorating due to years of neglect, which requires huge investments. Investment in safety have increased from Rs 33972 Crore per year during UPA II to Rs54031 Crore every year under this government a jump of 60 per cent. 3. Congestion on tracks also has some impact on safety. Reduction in congestion is achieved by infrastructure upgradation which again requires huge capital expenditure. We have been working this regard also. Under this government, by the end of year we would be spending about Rs 4 lakh crore on infrastructure creation. In last 67 years since independence (1947- 2014) capital investment of Rs 4.9 lakh crore was made on Indian Railways. 4. In 2017-18, a Fund namely 'Rashtriya Rail Sanraksha Kosh' (RRSK) has been created for financing critical safety related works. The Fund has been created with a corpus of Rs 1 lakh crore over a period of five years. 5. Decision to stop production of ICF coaches, the main stay of Indian Raiwlays Passenger Business for many years, and having no anti climbing features was taken in 2015-16. 6. Existing stock of 40,000 ICF coaches (90 per cent of total coaches) cannot be discarded and hence is being retrofitted with CBC couplers to make them safer. 7. New technologies like Condition based monitoring system for rolling stock and Track and Ultrasonic Broken Rail Detection System are being piloted on the network.